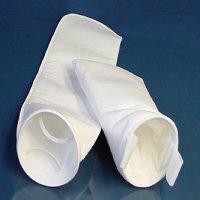 Industrial Water / Fluid Filter Bag designed to fit housings that require #4 size bags (4-1/8 inch x 14 inch). 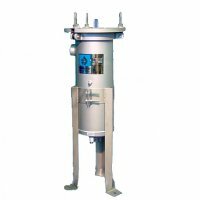 These filters are compatible with most manufacturers such as American Felt, Filter Specialists (FSI), Filtration Systems, Filter Technology, GAF Filter Systems, Plenty, Ronnigen-Petter, Rosedale, Strainrite, Shelco and Pentair Industrial. The PWFBG4 filter bags are produced with a glaze finish to reduce media migration, carbon or stainless steel support ring and heavy duty fiber handles for easy removal. The multi-filament felt media provides high solids retention at a low cost. Maximum temperature ratings are: polyester 300°F / 149°C - polypropylene 180°F / 82°C. Available in many micron rating and sold in case quantities.